Before rocket fire from the Gaza Strip on civilian populations in Israel escalated and three teenagers were abducted and murdered in an incident that Israel attributes to Hamas, the Jewish state was becoming increasingly fragmented. Peace talks had broken down. Debates over divisive matters of religion and state were intensifying. And right-wing politicians like Foreign Minister Avigdor Lieberman and Trade Minister Naftali Bennett were openly preparing for the possibility of early elections that could be held if Prime Minister Benjamin Netanyahu’s governing coalition fell apart. Mr Netanyahu was being blamed for failing to prevent the international community from recognising a Palestinian unity deal with Hamas and Islamic Jihad – an endorsement that for Israelis looks grotesque in hindsight. Then came Hamas and accomplished what had seemed impossible: it unified Israelis. Dovish Israeli Justice Minister Tzipi Livni and the hawkish Bennett gave interviews on Israel’s top-rated nightly news show on successive nights. They sounded remarkably the same. There have been anti-war demonstrations. In Israel, in times of war and peace, there tend to be demonstrations about something or other every day. But so far, the demonstrations have been a dramatic failure. 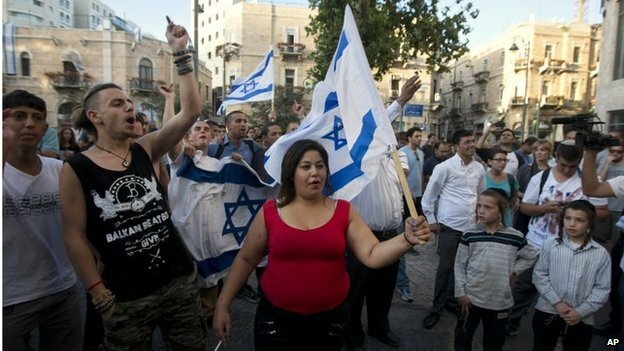 Only Israeli Arab citizens and Jews on the fringe far-Left have participated in them. 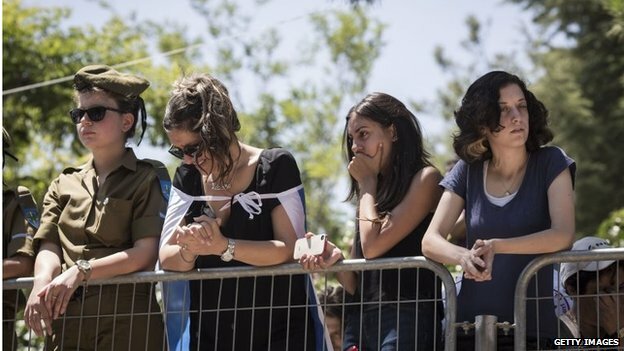 There have been funerals of soldiers that have attracted far more people – in one case more than 30,000 – indicating overwhelming support for the Israel Defense Forces. Opposition leader Isaac Herzog from the Labour Party – who will face off against Mr Netanyahu whenever Israel will have its next election – has praised the ground offensive in the Gaza Strip as strongly as the prime minister’s closest supporters. The reason why Hamas has been so effective in unifying Israelis is that they attacked the Israeli consensus. They didn’t attack the West Bank, whose fate divides Israelis. They attacked Tel Aviv and close to Ben-Gurion International Airport with rockets, targeted left-wing agricultural communities on Israel’s side of the border with Gaza from what Israel calls terror tunnels, and allegedly kidnapped boys on the way home from school in a society that is obsessed with children. By doing so, Hamas built up the stamina of an Israeli population that was more impatient in previous standoffs in Gaza. Polls have shown that support for the ground offensive is sky-high and that Mr Netanyahu’s backing of a proposed Egyptian cease fire was extremely unpopular. A Panels poll taken on the eve of the invasion for the Knesset Channel, which broadcasts the Israeli parliament’s proceedings, found that 63% of respondents wanted to enter the Gaza Strip and only 27% did not. Ten per cent did not answer or had no opinion in the poll, which surveyed a representative sample of the Israeli population, including Arabs. Israelis are just as empathetic to the tragic Palestinian death toll in Gaza as other people around the world. They just blame it on Hamas firing from among civilian populations, rather than on the Israeli army’s air strikes. 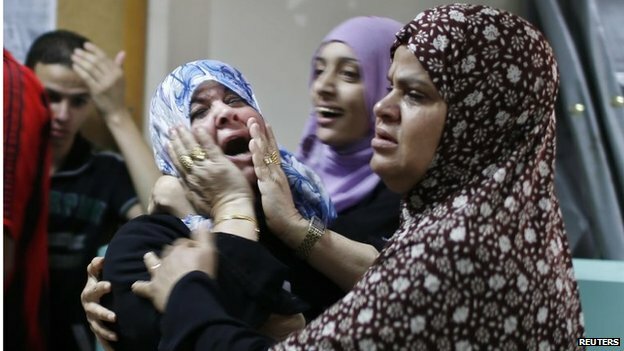 The death toll on the Israeli side is now rising after it was initially small. Some 2,000 rockets fired over the past three weeks have killed only one Israeli, who happened to be a Bedouin. An Israeli volunteer who tried to deliver food in a dangerous location close to the Gaza border was killed by a mortar. And an Israeli Arab woman in Haifa died from a heart attack en route to a bomb shelter after being shocked by a siren. But since the ground invasion last Thursday night, 29 soldiers have been killed and more than 100 wounded. For Israelis, such numbers are difficult to accept. Israel is rare in that the deaths of its soldiers are often portrayed as more tragic than those of its civilians. The IDF is a symbol of the Jewish Israeli consensus, and its soldiers are seen as “everyone’s children”. By contrast, civilians killed by rockets have been mocked for ignoring warning sirens and going out on their porches to film the Iron Dome missile defence system with their iPhones. If soldiers continue to die, more doubts about the ground operation will undoubtedly be raised. If a soldier or civilian is proven to be kidnapped, that would also have a demoralising effect. Hamas’ repeated attempts to kidnap soldiers and its celebration of unsubstantiated and highly doubted reports that a kidnapping had taken place show that its leaders understand the potential impact of a successful abduction. It is clear to Hamas that all it takes to change Israeli public opinion dramatically is for one rocket to be missed by Iron Dome over a Tel Aviv skyscraper or for a group of gunmen to enter a kibbutz cafeteria through a tunnel and open fire. But while such incidents would demoralise Israelis and harm their leaders’ popularity, they would not add opposition to the ground offensive. Israelis know that had it not been for the ground offensive, the tunnels would have remained undiscovered and they would have been in great danger. That explains why there is no overwhelming sense of urgency on the part of Israelis to end the operation before the achievement of its objectives of restoring quiet to southern Israel, destroying the tunnels, weakening Hamas significantly, and most importantly, avoiding future war. This entry was posted in News & Articles on July 26, 2014 by Elon Perry.